If you have water leaking from underneath your shower glass door, its time to replace your door sweep with DS32225 frameless shower door sweep. 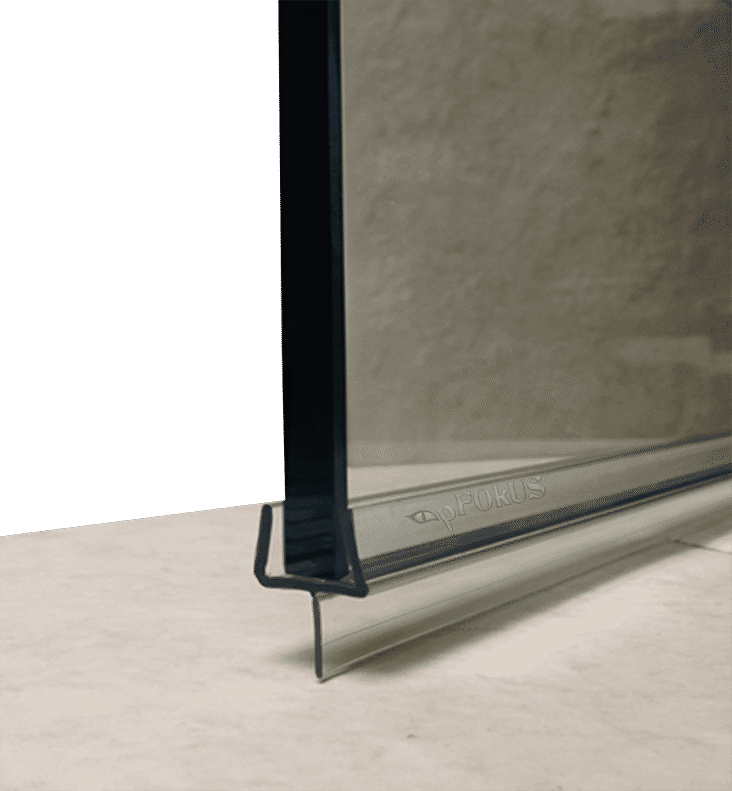 The hard polycarbonate holds on to the glass door while the softer vinyl wipes the water off the surface when opening the shower door. We also carry thresholds that are made of aluminum if you have to fill a larger gap. Quality is key in the fast pace world we live in. Replacing your glass shower door sweep with high quality DS32225 frameless shower door sweep we prevent water damage as it will last longer. There are very cheap imported sweeps flooding the market, which fall off you door and tear very easy. Creating such clarity starts with Benaz. Benaz will remove all the water dot etching with ease. Simply apply the applicator to the pad and massage the glass. Simply spray your shower glass with Valore and wipe dry. Water will sheet off instantly because Valore’s molecular bond to the glass on contact. If you had a newly installed shower glass enclosures or it’s very clean, simply just treat the glass with Valore. 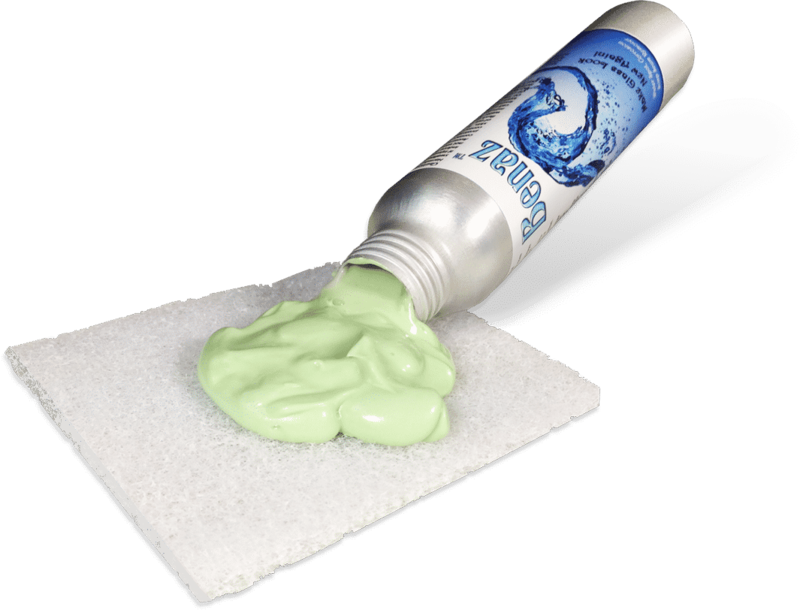 If your shower glass is etched, first use Benaz to remove all the mineral deposits and water dots. Valore is green and safe! Is there a way to clean my shower door sweep? Yes. Simply clean it with Benaz if mineral deposits are preseant. 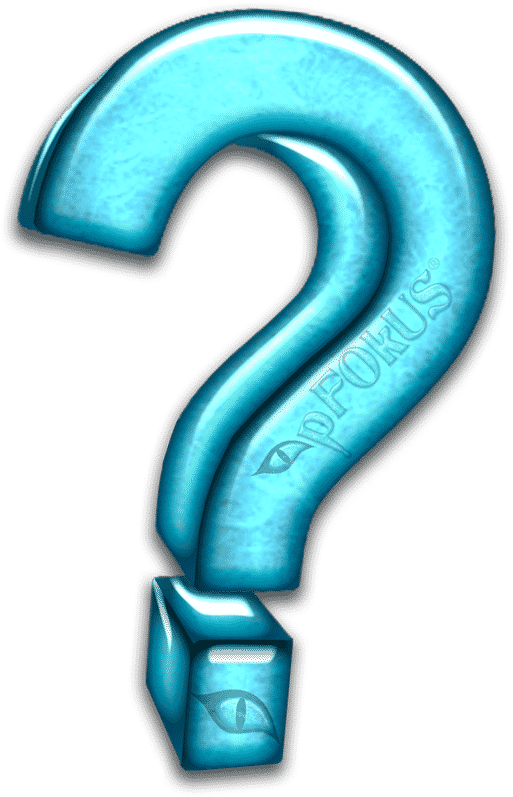 What are the clear pFOkUS blocks? 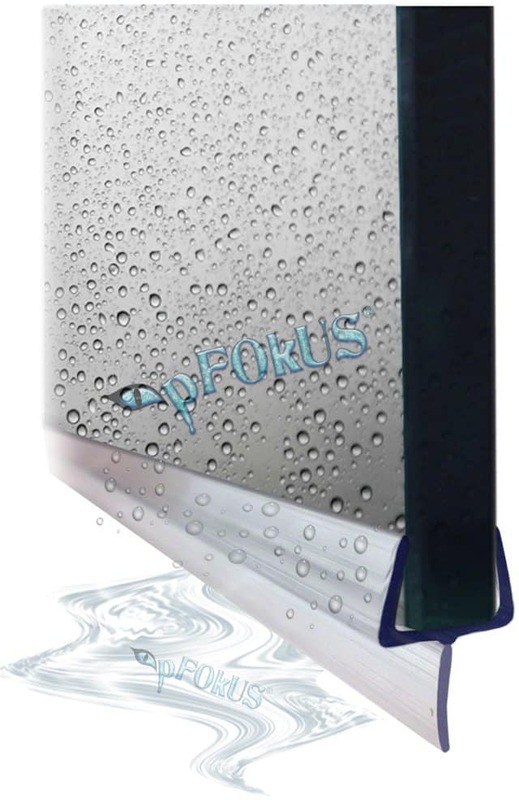 The clear pFOkUs blocks assist you in shimming the sweep if needed. 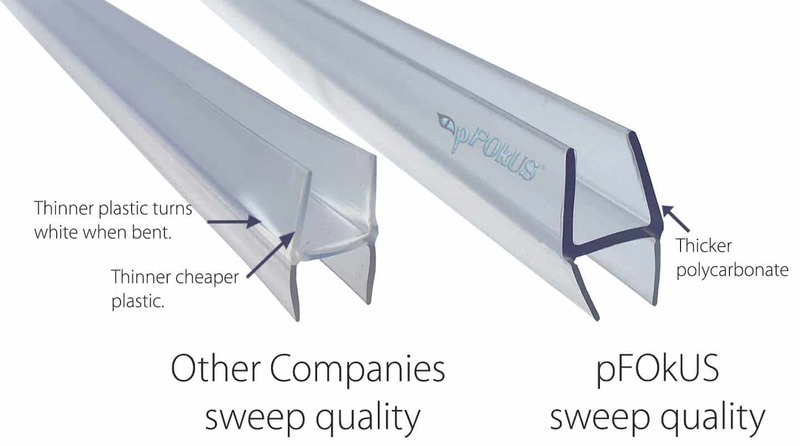 Can I trim the soft seal on the bottom of the sweep? Yes, simply trim the soft seal with scissors. I have white mineral deposits on my shower door, how do I remove it? How long will my new glass sweep last? Depending on the surface the soft seal moves over it should last 2-3 years. How do I measure my shower glass thickness? 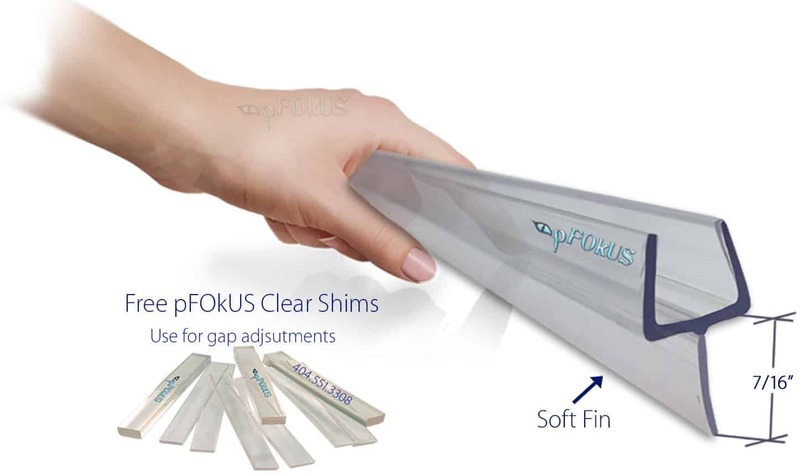 Are pFOkUS’s glass door sweeps, clear in color? We consider our sweeps to be transparent. We try to get the best clarity and the sweeps are transparent.